Stress has become an indelible part of life. Global Organization for Stress laid out the facts which show that 75% of adults experience moderate to high levels of stress. In the workplace, 80% of employees admitted that they encounter similar issues. Among all the remedies that people use to de-stress, massage has become one of the most popular. However, massage therapy does more than just help relieve the body from the condition. Learning the practice has a bevy of other benefits. Massage therapy has numerous types. Each one serves a different purpose and originates from certain parts of the world. Below are the most popular and some information on how to learn each one. This is the most known type of massage therapy around the world. Head Massage Techniques discusses that Swedish massage consists of gentle kneads from shallow to deep areas of the body. Its main purpose is to stimulate circulation, loosening muscles and alleviating pain in the process. It was emphasised that the rule of thumb should be to direct your strokes towards the chest, specifically to the heart. Consider the session as a series of rhythmic strokes so you should avoid interruptions when passing from one body part to another. Needless to say, it takes practice for you to be able to do it smoothly. You might have seen some athletes with big dark circles on their backs. Those marks come from cupping, also known as Ventosa massage. Cupping Therapy provides a treasure trove of information regarding this therapeutic massage and how to learn its many methods. They state that the suction from the cups lifts the tissues to decrease inflammation and relieve pain. But while it’s usually applied on the back, they also share that this therapy can be used on different parts of the body as well, including shoulders, thighs, and hip. Do note, however, that this type of massage is not advisable for the elderly, small children, and if you’re pregnant. This is one of the most common treatments across spas, which is also called geothermotherapy. It’s a healing process brought about by ancient tribes. LiveStrong showed how easy it is to learn and you can even do it at home using daily items and massage stones. The hot water-soaked stones placed along the body’s energy points reduce pain and relax the muscles. You can buy these stones from eBay or Souq too! 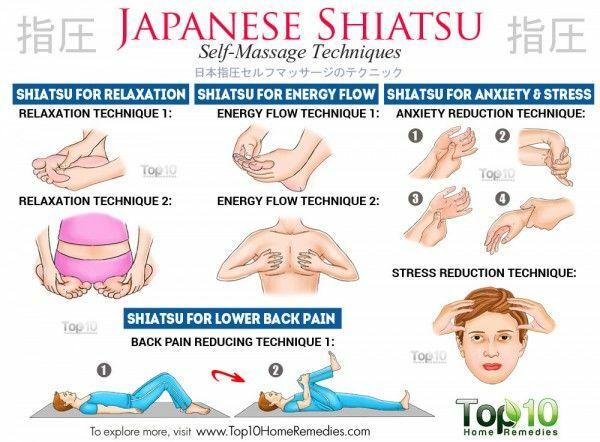 Shiatsu is the Japanese term for ‘finger pressure’. This form of massage with ancient roots relies on acupressure and its goal is to align the physical, emotional, mental, and spiritual aspects of the person receiving the treatment. Additionally, it seeks to restore the natural resonance of the body by recuperating its cellular, organ, joint, and vibrational levels. Shin Tai International seeks to educate people of this ancient method, either by online videos or physical classes. You’ll be able to learn the various techniques that make this method a heavily-demanded variety by clients. Knowledge in massage therapy is a good investment. You can join companies that need massage therapists, which range from spas and hotels, to sports associations. On the other hand, you can put up your own massage services business. This venture offers a variety of opportunities, such as having your own space or doing house calls. This way, you have more control over your schedule and practice. But aside from being a potential source of income, massage therapy also has plenty of personal benefits. For example, an article about sprucing up marital relationships on Foxy Bingo mentioned that the activity is a good form of bonding. Picking up a hobby or discovering a new passion together deepens your connection and intimacy. Plus, you can even apply what you’ve learned to alleviate each other’s stress after a hard day’s work so both of you can sleep better.